Specialist subjects: Radical, labour and freethought archives. Location: London, willing to travel anywhere in the UK or Ireland. Fees: Travel expenses, talk fee welcome but not essential. Stefan is the Library and Archives Manager at Bishopsgate Institute and looks after its collections on the history of London, the labour movement, co-operation, freethought and humanism. 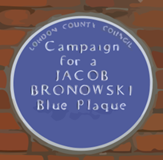 These include the personal papers of politicians George Howell, Charles Bradlaugh and George Jacob Holyoake, and the organisational archives of the London Co-operative Society, the Eton Manor Boys’ Club, the British Humanist Association, the Rationalist Association and the Stop the War Coalition. He qualified as an archivist in 2001 and started at Bishopsgate in 2005. Previous to this, Stefan worked in the archives of the London School of Economics and Senate House Library. He will talk at extraordinary length about the collections whenever asked and regularly entertains groups of students and family/local history societies on the wonders they can find at Bishopsgate Library. He is also secretary of the Archives and Resources Committee of the Society for the Study of Labour History. He is Co-Director of the Raphael Samuel History Centre, Chair of the Socialist History Society and sits on the committee of the oral history consortium Britain at Work, 1945-1995. Stefan is also co-founder of the Network of Radical Libraries and Archives (NORLA).